Have you ever seen deer antlers stained pokeberry purple? When we saw plentiful deer sign in a pokeberry patch recently, we were a bit surprised to find that deer seem very fond of using purple pokeweed stems for buck-rubs. 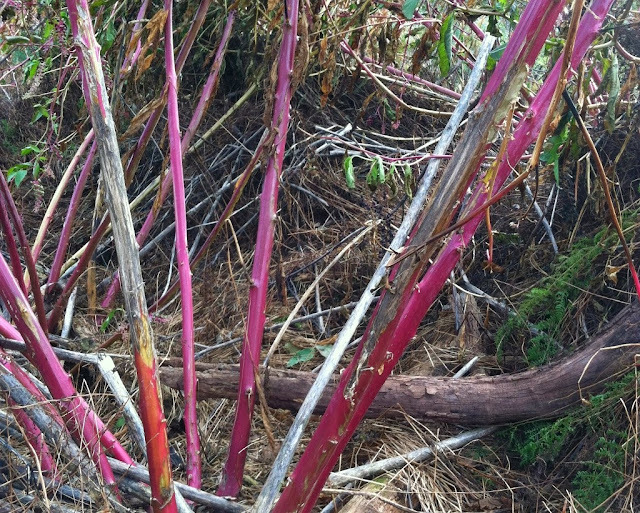 Besides seeing evidence of deer browsing on the poisonous plant, we noticed numerous buck-rubs on the purple stalks. We would have liked to see a buck running around with purple-stained antlers. 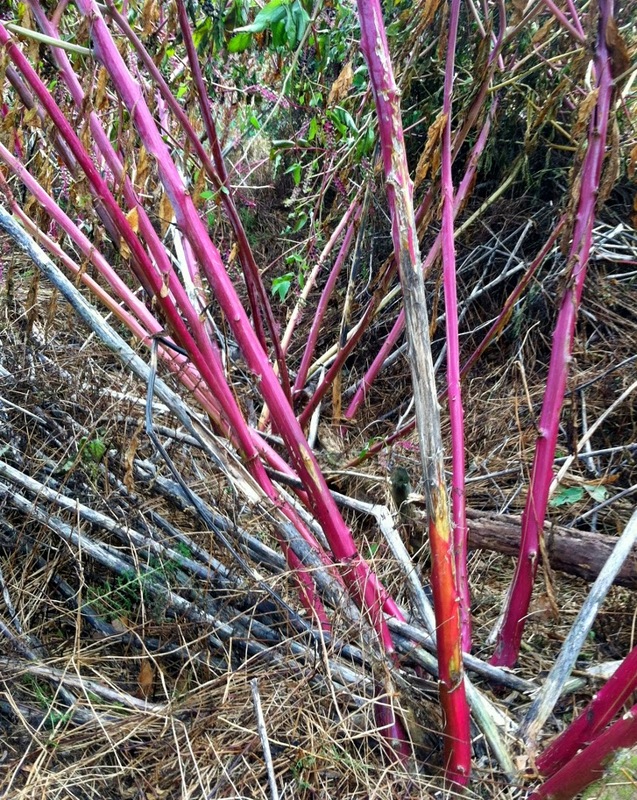 The pokeweed stalks are about the same size as the saplings that bucks normally use for "buck-rubs", however, the stalks are much 'fleshier' and not near as sturdy. 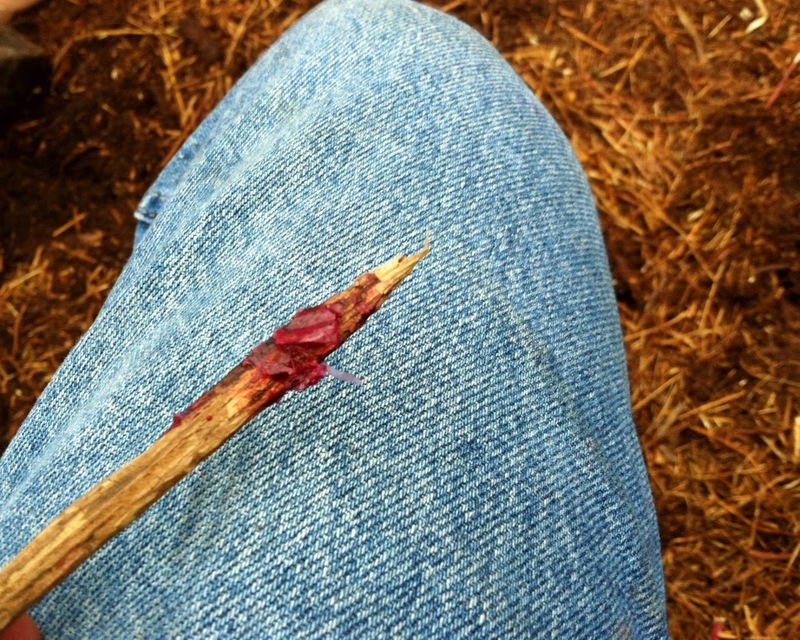 We have tried to think of any other explanation for the 'buck-rubs' but haven't been successful. 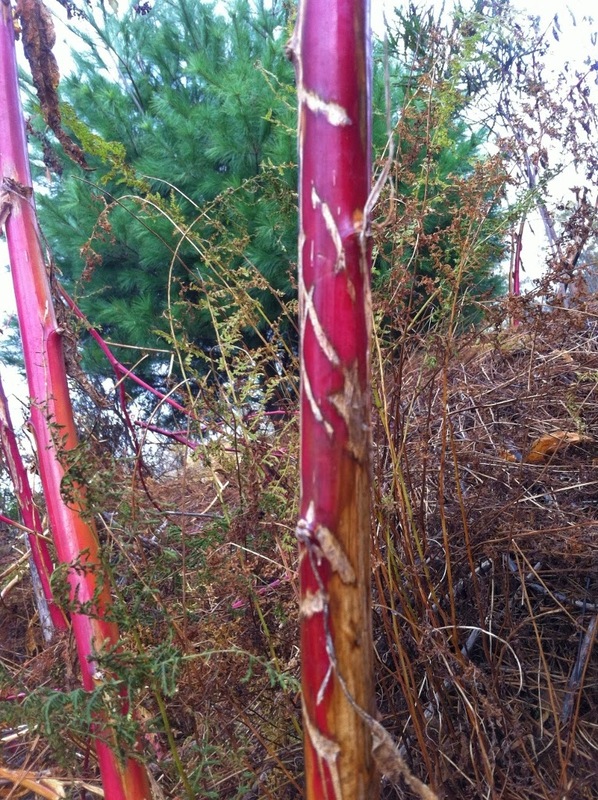 The photo below shows a closer view of a pokeweed stalk showing evidence of the antler bashing the stalk received. Buck-rub seems to be a good explanation, eh? Thinking along those lines, I tried to simulate a pokeberry purple-stained antler by rubbing a stick on a pokeweed stalk... see this stick in the photo below.